Increase your Child's Confidence Today! Increase your Child's Confidence with our fun Kids Karate SELF DEFENCE classes! 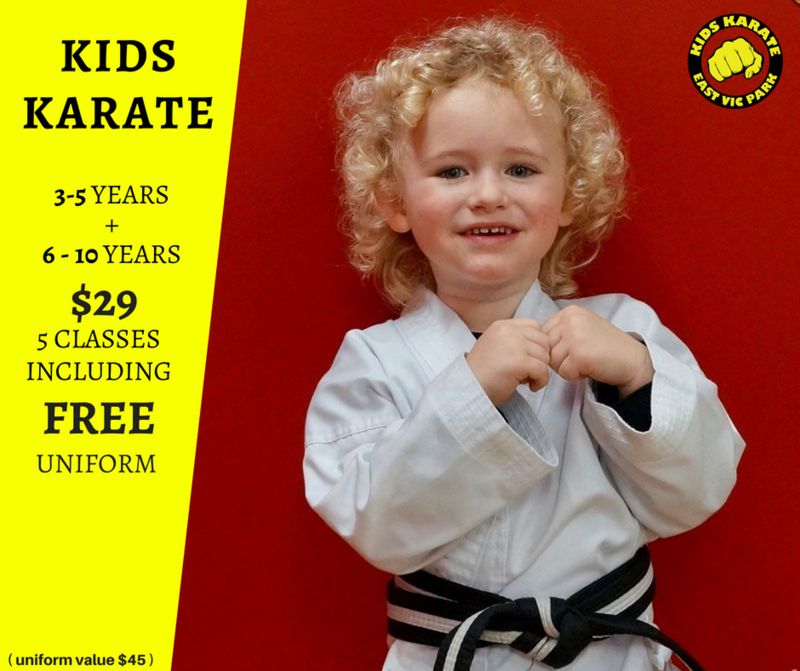 $29 for the first 5 classes including FREE Karate uniform! Your child will gain listening, concentration and socializing skills plus learning self defence whilst having fun and boosting their self esteem and confidence! Proudly providing Quality Kids Karate Classes, Adults Self Defence & Muay Thai Kickboxing classes for people living in and around - Victoria Park, East Victoria Park, Belmont, Bentley, St James, Kensington, South Perth, Rivervale, Carlisle, Lathlain, Como, Wattle Grove, Kewdale, Cloverdale, Welshpool, Redcliffe, Queens Park, East Cannington, Beckenham, Cannington, Wilson, Waterford, Karawara, Manning & Salter Point.